As you probably know, Sonic Lunch puts together free lunchtime concerts every Thursday in the summer here in A2. Today's concert is Michelle Chamuel with opener Absofacto. 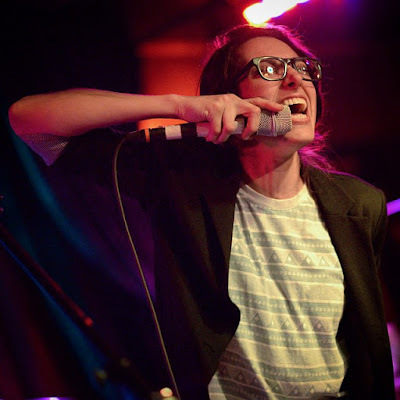 Chamuel was the runner-up on The Voice in 2013, but is better known round these parts, and rightly so, for being the lead vocalist for Ella Riot, formerly known as My Dear Disco. If you're basically a roly poly living under the rocks that live under rocks and don't know what I'm talking about, just know that she's a University of Michigan alumna and her old band is from here. The concert usually happens right by Liberty Plaza, but due to the possibility of it being rained out, it's been relocated to The Ark. Which, while not as great for folks that want to just walk on by a free concert, is still stupid cool. Because it's The Ark. Concert starts at 11:30 am! Thanks to Justin Higuchi for the great pic, which lives with other great pics here.